Simin Behbahani, Iran’s lady of poetry is no longer among us but will be forever remembered through her beautiful poems depicting the pain of our people and country. 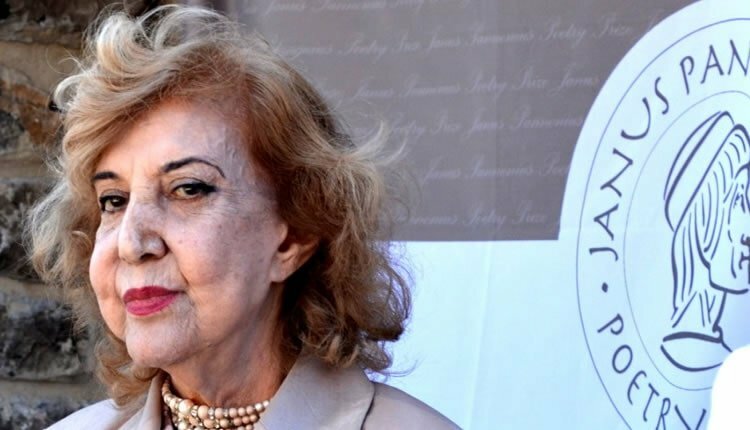 Simin Khalili, better known as Simin Behbahani (20 July 1927 – 19 August 2014) is one of the most prominent contemporary Iranian poets, lyricist, and social activists. During her lifetime, Behbahani wrote more than 600 sonnets that were published in twenty books. She was twice nominated for the Nobel prize in literature (in 1999 and 2000) and received many literary awards for her work. In Iran, she was referred to as “the face of the sonnet” because of her innovative and creative poetry work. Many of Behbahani’s poems became lyrics of popular songs performed by famous Iranian signers. Simin Behbahani, a law graduate, was in the education profession for thirty years (from 1951 to 1981). An advocate for human rights and democracy, she participated in protest movements many times, including in the gatherings of mothers of executed political prisoners. Behbahani was attacked by the Iranian regime agents and thugs and was injured in one of these gatherings in March 2007.